Surroundings: Noon-Square, M store, Lotte Department Store, Myeong-dong Art Theater. All of these are 5-minutes walk from the residence. 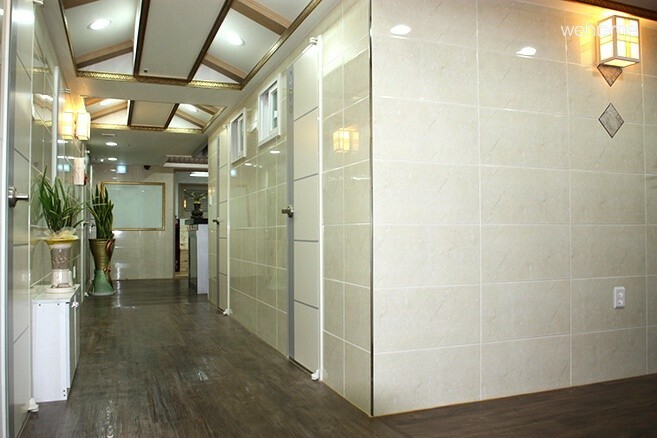 There are many other places such as Dongdaemun Market, etc. near the residence. It's literally full of watchable sights, gourmet, attractions & activities. 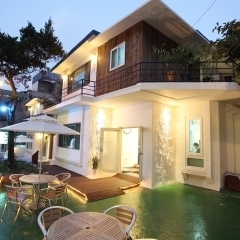 Transportation: Take 6001 limousine bus from Kimpo Airport and alight from Sejong Hotel. 5minute walk from the bus stop. 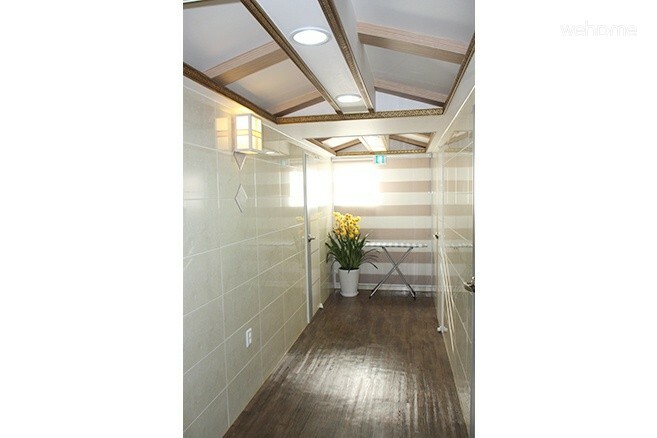 5-minute walk from exit No.8 of Myeong-dong subway station (subway line no.4) 10-minute walk from exit No.5 of Euljiro 1(il)-ga subway station (subway line no.2). Safety & Security: Fire & Accident insurance, CCTV installed, Digital Door-Lock, Fire Detector installed, Certificate for full-equipment of safety facilities, Spring Cooler, Safety Evacuation facility, Emergency stair to rooftop, Local Air-conditioning System. 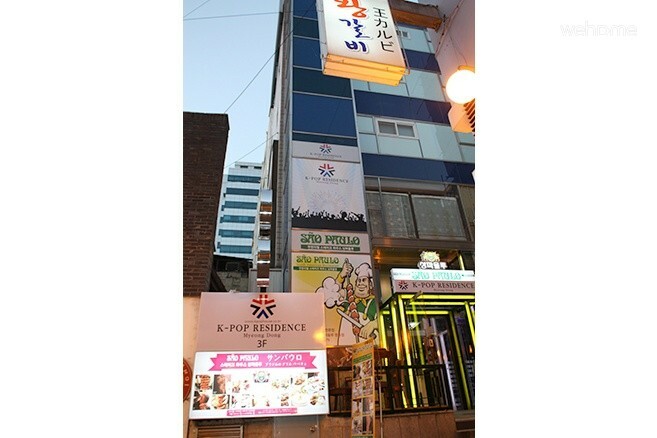 Room & Facility: Accommodation consists of Single Room, Double Room, Twin Room, Triple Room and Event Room (K-POP room). 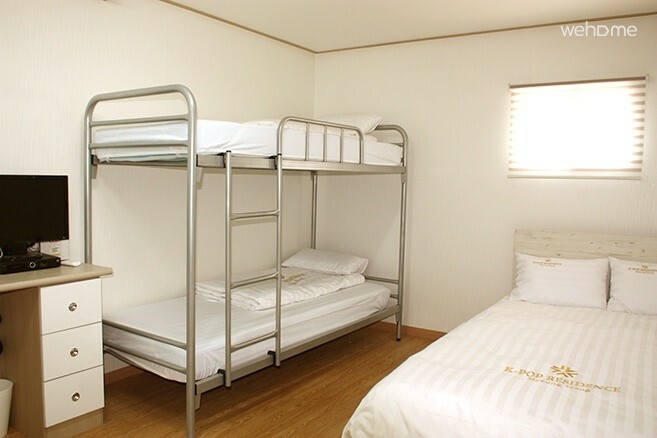 Also, each room is fully furnished with beds, etc. 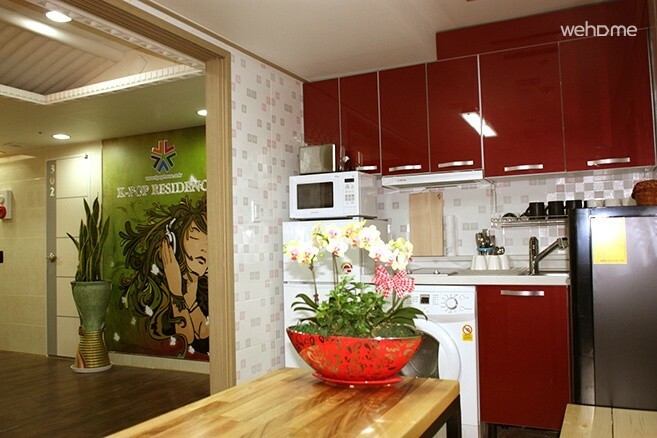 and equipped with IPTV, internet cable, wireless internet access. 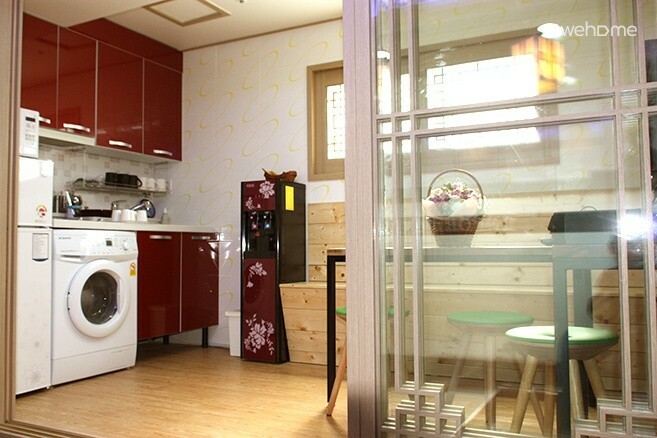 In lounge, kitchenette, laundry room are located in one place. Also, personal computer with internet access is equipped to provide you convenience on business takes and internet info' search. SPECECIAL SERVICE: Staffs proficient in English, Japanese, Chinese reside at all times to provide comfortable and homely service. For foreign tourists' accommodation, we provide you with information on watchable sights, gourmets, attractions & activities, tour guide, call taxi. 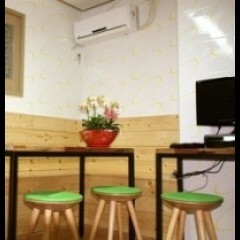 Breakfast will be served with various menu on daily basis. 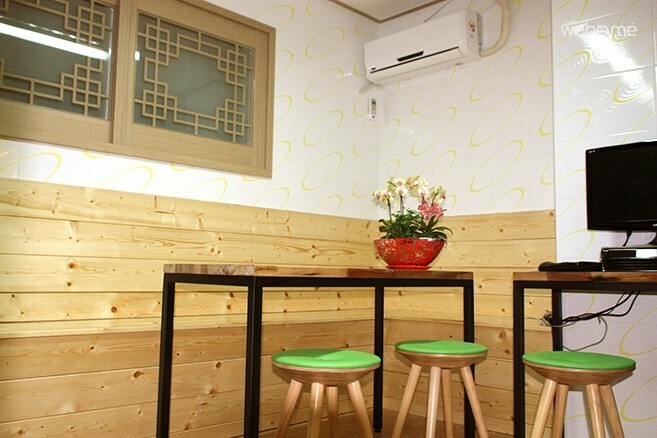 For the Event Room (K-POP Room) guests, we provide customized interior decoration and other special services on guests' demand. Doors automatically lock when closed, Security code in order to open those doors will be notified by the staff. For your access to the room and shoe shelf, please use the room key. - If you plan to go out during these hours (11:00pm~07:00am), You must be well-informed of the security code given by the staff. 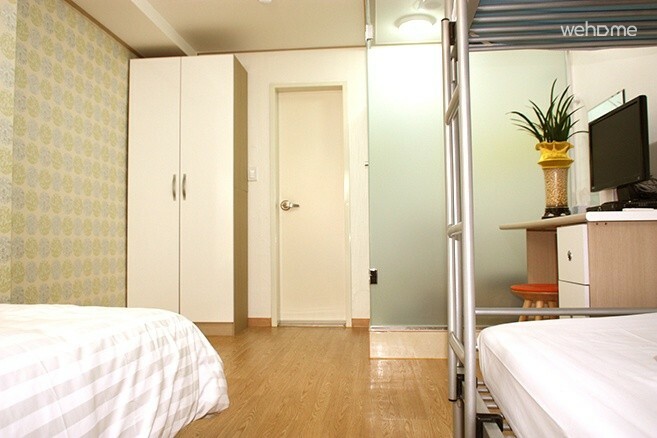 Rooms are cleaned between 11:00am~02:00pm. - If guests stay for more than 2 days, housekeeping service will basically NOT be provided on a daily basis for your privacy. But if you need daily cleaning, please let us know in advance. 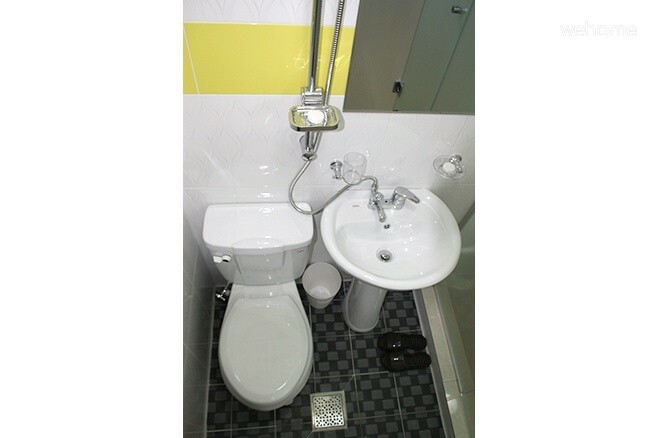 Each rooms contains TV (including remote control), air conditioning, closet, hanger, tissue paper, wastebasket, soap, towel, cup, slipper in the bathroom. Hairdryer, transformer and iron are available from the reception desk. Please take off your shoes at the entrance. Shoes must be kept in the shoes box. Slippers are provided for your convenience. Wear it when using stairway and elevator. You CANNOT walk into the residence with your slippers on. Having a meal in the room is strongly prohibited. In keeping with the attitude of mutual respect expected in the residence, please respect your fellow residences' concerns regarding noise. Lost belongings is not responsible at Residence. Please be sure in possession of your valuables. Reception Hours: 7:00am to 11pm. You have any urgent concerns after operating hours, please contact room 310 (staff room), nest reception.